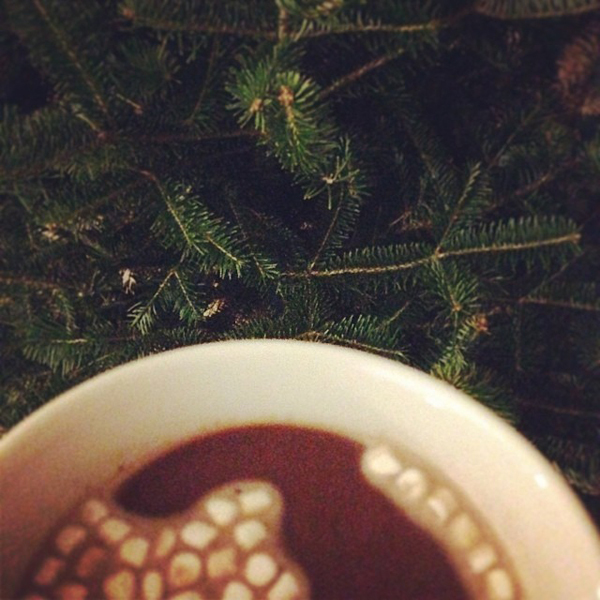 Hot chocolate with mini-marshmallows, Love Actually, Elf and tree trimming. 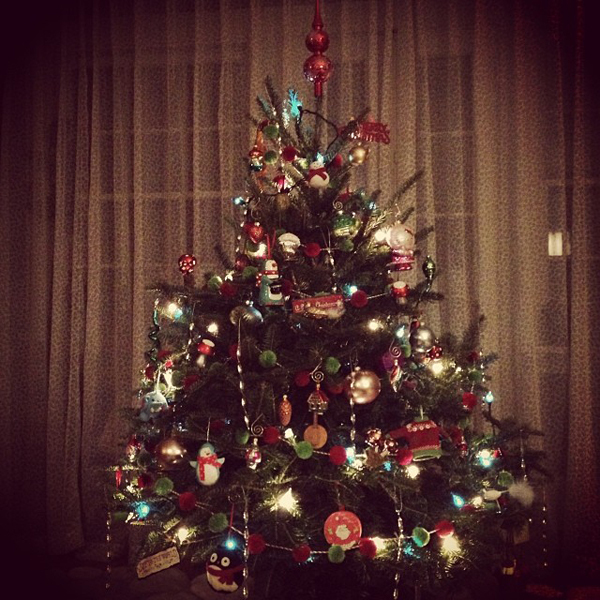 Our 2013 Christmas tree is up! Did I mention it is very short and squatty? The same height as me! It looked much bigger in the field. Plus it was dark. 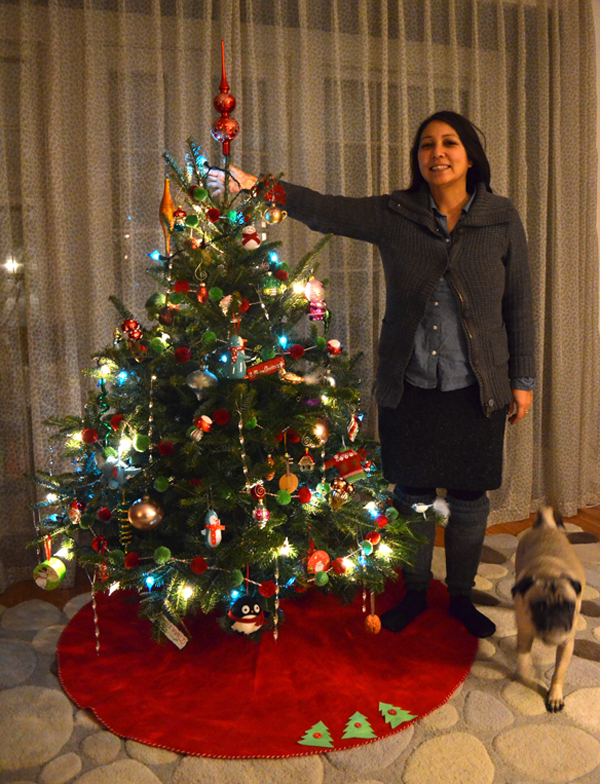 Note the pug photo bomb.